It features a 21MP rear camera with dual LED flash which lets you capture beautiful, true-to-life images in any light conditions. It also supports 4X digital zoom , 4K recording and slow motion video. With rapid focus, zero shutter lag, and a colour-balancing flash, the primary camera delivers vivid pictures even in low light. It also includes a 5 MP front-facing camera with f/2.0 aperture, wide-angle lens, and slow motion video feature. 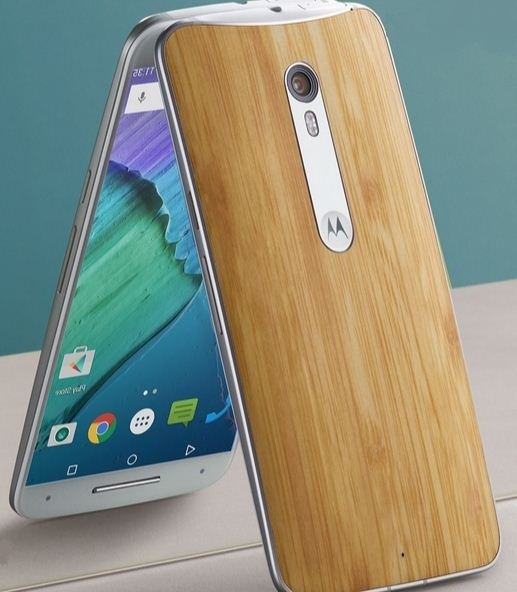 The Moto X Style runs on the latest Android 5.1.1 Lollipop. It supports 4G LTE, 3G, Wi-Fi, GPS and other connectivity options. The device is backed by a 3000 mAh powerful battery with Turbo Charging (10 hours of battery life from 15 min charge).